Choose your own path with the best business programs to support every stage of your business career. Learn more by downloading our information brochure for our internationally recognized certificate programs. There are 4 Certificate levels under the Australian Qualifications Framework, and these are recognized around the world. These are designated, Certificate I, II, III and IV. The purpose of the Certificate I qualification type is to qualify individuals with basic functional knowledge and skills to undertake work, further learning and community involvement. 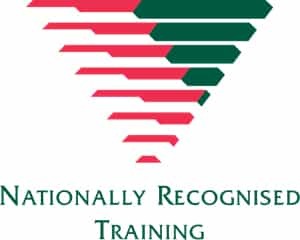 Certificate I qualifications must be designed and accredited to enable graduates to demonstrate the learning outcomes expressed as knowledge, skills and the application of knowledge and skills specified in the level I criteria and the Certificate I descriptor. The purpose of the Certificate I qualification type is to qualify individuals with basic functional knowledge and skills to undertake work, further learning and community involvement. GEM College does not deliver Certificate I qualifications. Certificate II qualifications The purpose of the Certificate II qualification type is to qualify individuals to undertake mainly routine work and as a pathway to further learning. Certificate II qualifications must be designed and accredited to enable graduates to demonstrate the learning outcomes expressed as knowledge, skills and the application of knowledge and skills Specified in the level 2 criteria and the Certificate II descriptor. The purpose of the Certificate II qualification type is to qualify individuals to undertake mainly routine work and as a pathway to further learning. GEM College does not deliver Certificate II qualifications. Certificate III qualifications The purpose of the Certificate III qualification type is to qualify individuals who apply a broad range of knowledge and skills in varied contexts to undertake skilled work and as a pathway for further learning. The purpose of the Certificate IV qualification type is to qualify individuals who apply a broad range of specialized knowledge and skills in varied contexts to undertake skilled work and as a pathway for further learning. The purpose of the Certificate IV qualification type is to qualify individuals who apply a broad range of specialized knowledge and skills in varied contexts to undertake skilled work and as a pathway for further learning. Certificate IV level qualifications are frequently aligned to trades qualifications, team leaders and/or supervisory roles. GEM Learners who complete an individual Unit of Competency are issued with a Statement of Attainment. GEM graduates who complete the requirements for a full qualification are issued with and a Statement of Competencies gained. While our key focus is on equipping team leaders, supervisors, managers, entrepreneurs and professionals through the provision of qualifications ranging from Certificate III to Graduate Diploma level programs, we also have several entry level courses at Certificate III level which are aimed at Learners who have recently entered the workforce. Your professional business career starts here. Receive a globally recognized certificate and enter the business community with confidence.